Site footers are current supported only in modern pages of communication sites. This feature is scheduled to start production roll out in January 2019. 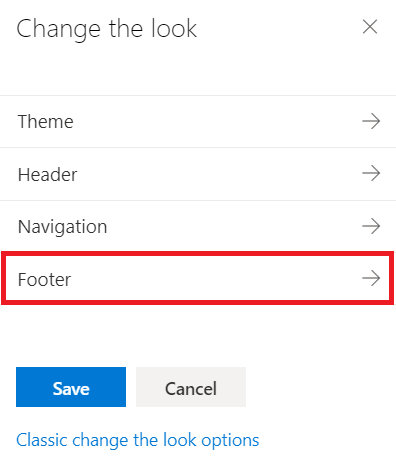 Footer will be enabled by default for all new and existing communication sites when the feature is initially rolled out. Above PowerShell scripts assumes that you have already installed PnP PowerShell cmdlets for your environment and you are not using multi-factor authentication. You can install PnP PowerShell cmdlets to your computer by opening PowerShell console in administrative mode and executing following command: Install-Module SharePointPnPPowerShellOnline. If you are using multi-factor authentication, you can enable MFA login by updating the Connect-PnPOnline line as follows: Connect-PnPOnline -Url "<SiteURL>" -UseWebLogin. 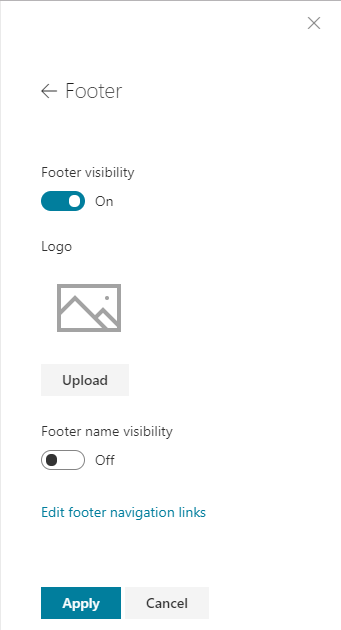 These options will be visible in the sites when the feature(s) are rolled out and released.